SpinVFX was happy to participate in Doors Open Toronto, adding its name to the list of selected buildings that opened to the public for the last weekend of May. Doors Open, a municipal program that coordinates the opening of spaces and buildings that are typically not available for public viewing, held an outstanding event that brought together more than 130 properties this year. The 2018 theme was “Film: The Great Romance”, and it was thrilling to see the City of Toronto organize one of their premier events around one of its largest industries. For the first time, the public was able to access sets, sound stages, post-production houses and a number of other spaces that are tucked away in their own neighbourhoods. 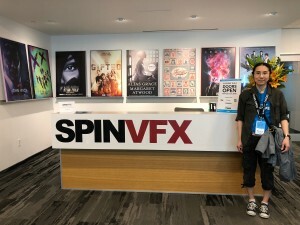 SpinVFX held numerous curated tours of our studio, receiving over 130 guests over the two days. 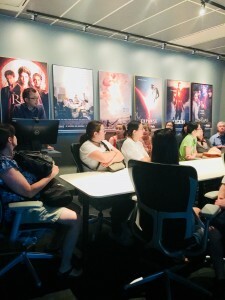 Guests were treated to a viewing session in our state-of-the-art screening room as well as behind-the-scenes demonstrations of the visual effects process by a number of our resident experts, who showed how we make captivating images for films and televisions shows around the world. 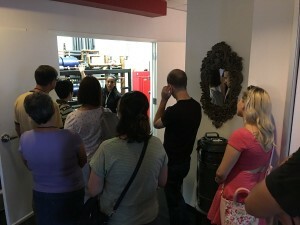 They also learned about the infrastructure that makes the studio run – an unexpected portion of the tour that provided a sense of the scale of the studio. Toronto’s Doors Open volunteers formed an outstanding team that kept the tours organized and on schedule for the whole weekend. We thank them for their contributions – it would not have been possible without them.